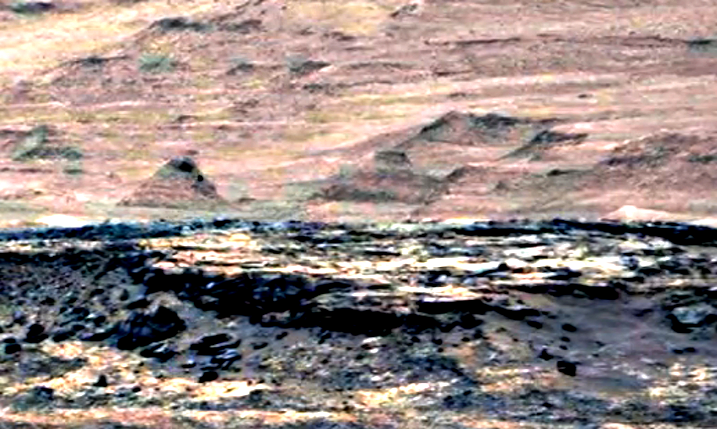 UFO SIGHTINGS DAILY: Ancient Structures Found On Mars By Curiosity Rover, Sept 2015, Video, UFO Sighting News. Ancient Structures Found On Mars By Curiosity Rover, Sept 2015, Video, UFO Sighting News. Above photo is grey scale, but only the structures remain normal color. 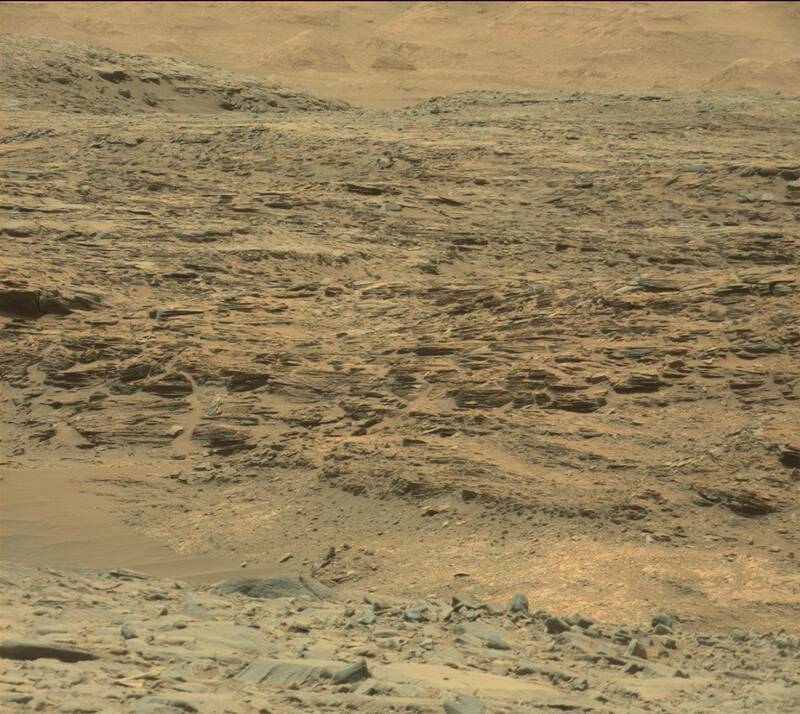 This ancient city was found by Martian Archeology of Youtube. He found a pyramid, maybe even two if the one on the far left in the video is one. He also found the walls of a very large building to the right of the small pyramid. 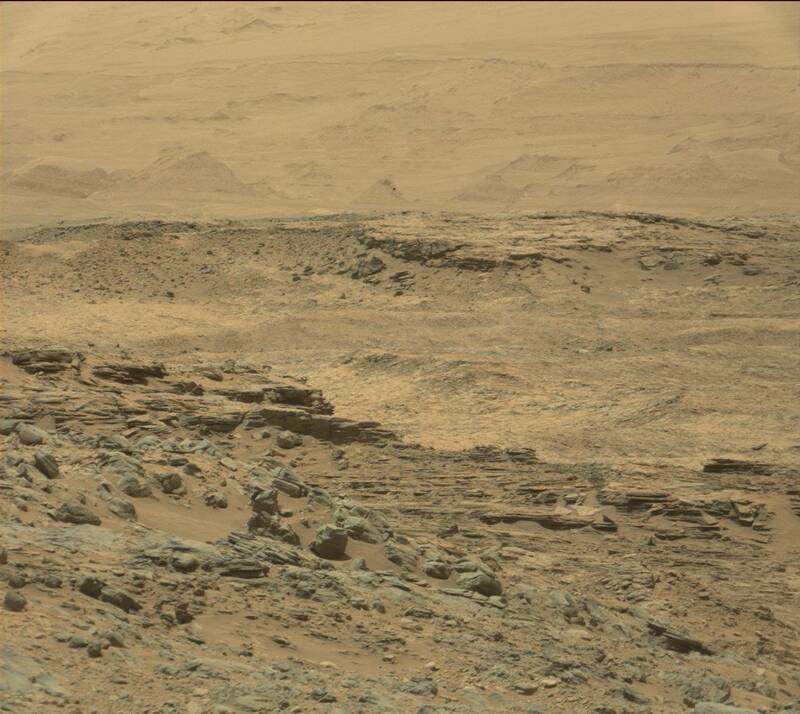 These structures are big enough for a human to live in. I can't believe it...its just a fantastic discovery by Martian Archeology.